Δέσποτα Κύριε Ἰησοῦ Χριστέ, ἡ ἀρχίφωτος σοφία τοῦ ἀνάρχου Πατρός. Ὁ φῶς οἰκῶν ἀπρόσιτον, ὁ εἰπὼν ἐκ σκότους φῶς λάμψαι, ὁ εἰπὼν γεννηθήτω φῶς καὶ ἐγένετο φῶς. Κύριε, ὁ τοῦ φωτὸς χορηγός, ὁ ἐξαγαγὼν ἡμᾶς ἀπὸ τοῦ σκότους τῆς πλάνης καὶ εἰσαγαγὼν εἰς τὸ θαυμαστὸν φῶς τῆς σῆς ἐπιγνώσεως, ὁ τὴν γῆν μὲν πᾶσαν διὰ τῆς ἐν αὐτῇ ἐνσάρκου παρουσίας σου, τὰ καταχθόνια δὲ διὰ τῆς εἰς Ἅδην καταβάσεώς σου φωτὸς πληρώσας καὶ χαρᾶς, μετὰ δὲ ταῦτα διὰ τῶν ἁγίων σου Ἀποστόλων φῶς καταγγείλας πᾶσι τοῖς ἔθνεσιν. Despota Lord Jesus Christ, the original wisdom of the without beginning Father, oh unapproachable Light, who said that Light will proceed from darkness, who said let it be Light and there was Light. Oh Lord provider of Light who took us out of the delusion of darkness and led us to the miraculous Light of Your awareness. You fully illumined the whole earth through Your incarnate presence while the underworld through Your descent to Hades brought the light and joy and after these through Your Apostles gave the light to all nations that walked in darkness. Despota Lord Jesus Christ, the originally shining wisdom of the without beginning Father. You who dwells in the unapproachable Light;* You who commanded that Light shine forth from the darkness, who said let it be Light and there was Light. Oh Lord provider of Light who took us out of the delusion of darkness and led us to the miraculous Light of Your awareness. You filled with light and joy the earth through Your incarnate presence and the underworld through Your descent to Hades and after these through Your Apostles You announced the light to all nations. Εὐχαριστοῦμεν σοί, ὅτι διὰ τῆς εὐσεβοῦς πίστεως μετήγαγες ἡμᾶς ἀπὸ σκότους εἰς φῶς καὶ γεγόναμεν υἱοὶ διὰ τοῦ ἁγίου βαπτίσματος,θεασάμενοι τὴν δόξαν σου πλήρη οὖσαν χάριτος καὶ ἀληθείας. ἀλλ’ ὦ φωτοπάροχε Κύριε, ὁ τὸ μέγα φῶς ὤν, ὁ εἰπὼν, ὁ λαὸς ὁ καθήμενος ἐν σκότει. Δέσποτα Κύριε, τὸ φῶς τὸ ἀληθινόν, ὃ φωτίζει πάντα ἄνθρωπον ἐρχόμενον εἰς τὸν κόσμον. Τὸ μόνο φῶς τοῦ κόσμου καὶ φῶς τῆς ζωῆς τῶν ἀνθρώπων, οὗ ἀπὸ τῆς δόξης ἐπληρώθη τὰ σύμπαντα, ὅτι φῶς εἰς τὸν κόσμον ἐλήλυθας διὰ τῆς ἐνσάρκου σου οἰκονομίας, εἰ καὶ οἱ ἄνθρωποι ἠγάπησαν μᾶλλον τὸ σκότος ἦ το φῶς. We thank You because through pious faith, you brought us from darkness to light and we became sons through holy baptism, seeing your glory full of grace and truth. However, oh light-giver Lord, oh great light who called the people who were in darkness. Despota, Lord, the true light that illumines every man who comes in the world. The only light of the world and light whose glory filled the universe, you brought the light to the world through Your economy of incarnation even though people loved the darkness rather than the light. We thank You because through pious faith, you brought us from darkness to light and we became sons through holy baptism, seeing your glory full of grace and truth. However, oh light-giver Lord, oh great light, who said the people living in darkness. * Despota, Lord, the true light that illumines every man who comes in the world. The only light of the world and light of the lives of people, through whose glory the universe was filled, you brought the light to the world through Your economy of incarnation even though people loved the darkness rather than the light. Σὺ Κύριε φωτοδότα, ἐπάκουσον ἡμῶν τῶν ἁμαρτωλῶν καὶ ἀναξίων δούλων σου τῶν τῇ ὥρα ταύτῃ παρισταμένων τῷ παναγίῳ σου καὶ φωτοφόρῳ τούτῳ τάφῳ καὶ πρόσδεξαι ἡμᾶς τιμῶντας τὰ ἄχραντα πάθη σου, τὴν παναγίαν σου σταύρωσιν, τὸν ἑκούσιον θάνατον καὶ τὴν ἐν τῷ πανσεβάστῳ τούτω μνήματι τοῦ τεθεωμένου σου σώματος κατάθεσιν καὶ ταφὴν καὶ τριήμερον ἐξανάστασιν, ἣν χαρμονικῶς ἤδη ἀρξάμενοι ἑορτάζειν, μνείαν ποιούμεθα καὶ τῆς ἐν Ἅδου καθόδου σου, δι’ ἧς τὰς ἐκεῖσε τῶν δικαίων κατεχομένας ψυχὰς δεσποτικῶς ἠλευθέρωσας τῇ ἀστραπῇ τῆς σῆς θεότητος φωτὸς πληρώσας τὰ καταχθόνια. You Lord, giver of light, listen to us sinners and unworthy servants who, at this moment stand by this Your Most Holy and light bearing Tomb, and receive us who honour Your Holy Passion, Your most holy Crucifixion, Your voluntary death, the laying of Your divine body in this holy tomb, Your burial and Your resurrection after three days, which we joyfully have already started celebrating, remembering Your descent to Hades, by which the souls of the righteous You despotically* freed, the lightning of Your divine light filled the underworld. You Lord, giver of light, listen to us sinners and unworthy servants who, at this moment stand by this Your Most Holy and light bearing Tomb, and accept us who honour Your Holy Passion, Your most holy Crucifixion, Your voluntary death, the laying of Your divine body in this holy tomb, Your burial and Your resurrection after three days, which we joyfully have already started celebrating, remembering Your descent to Hades, through which the souls of the righteous You freed in a kingly manner with the lightning of Your divine light filling the underworld. * The word “despot” and its derivatives hardly have positive connotations in English. So with happy heart and spiritual joy, on this most blessed Saturday, Your most salvific mysteries which You divinely executed on earth and under the earth we celebrate, and we remember You, the exhilarating and appealing light which You divinely shone in the underworld, we celebrate the appearance of the light, Your congenial divine appearance to us. Because during the salvific and bright night everything was filled with light, the heaven, the earth and the underworld through the supernatural mystery of Your descent to Hades and Your resurrection from the tomb after three days. So with happy heart and spiritual joy, on this most blessed Saturday, Your most salvific mysteries which You divinely executed on earth and under the earth we celebrate, and remembering You, the exhilarating and appealing light which You divinely shone in the underworld, we produce this light, as an icon of Your congenial divine appearance to us. Because during the salvific and bright night everything was filled with light, the heaven, the earth and the underworld through the supernatural mystery of Your descent to Hades and Your resurrection from the tomb after three days. Διὰ τοῦτο, ἐκ τοῦ ἐπὶ τοῦτον τὸν φωτοφόρον σου Τάφον ἐνδελεχῶς καί ἀειφώτως ἐκκαιομένου φωτός* εὐλαβῶς λαμβάνοντες, διαδίδομεν τοῖς πιστεύουσιν εἰς σὲ τὸ ἀληθινὸν φῶς καὶ παρακαλοῦμεν καὶ δεόμεθὰ σου, Πανάγιε Δέσποτα, ὅπως ἀναδείξῃς αὐτὸ ἁγιασμοῦ δῶρον καὶ πάσης θεϊκῆς σου χάριτος πεπληρωμένον, διὰ τῆς χάριτος τοῦ Παναγίου καὶ φωτοφόρου Τάφου σου. Καὶ τοὺς ἁπτομένους εὐλαβῶς αὐτοῦ εὐλογήσῃς καὶ ἁγιάσῃς, τοῦ σκότους τῶν παθῶν ἐλευθεριῶν καὶ τῶν φωτεινοτάτων σου σκηνῶν καταξιώσῃς, ὅπου φῶς τὸ ἀνέσπερόν της σῆς θεότητας λάμπει. Χάρισαι αὐτοῖς, Κύριε, ὑγείαν καὶ εὐζωίαν καὶ τοὺς οἴκους αὐτῶν παντὸς ἀγαθοῦ πλήρωσον. * The prayer appears twice in the greek page on the Holy Light. Oddly enough, the first occurance misses the part in bold green letters. The result of these 5 missing words can be seen by comparing the translations below; the difference is most significant. It’s also interesting that on casual inspection the text seems to flow quite nicely, if it weren’t for an orphaned article in the beginning of the phrase (underlined) and the somewhat odd structure of the resulting sentence. By this, having received with piety, from this, Your light-bearing Tomb we offer it to those believing in You, the true light and ask and supplicate Most Holy Despota that You make this a gift of sanctification and full of Your every divine grace through the grace of your Most Holy and light- bearing Tomb. And those who touch it with piety, bless and sanctify them, free them from the darkness of passions and make them worthy of Your brightest dwellings, where the light of Your unsetting divinity shines. Lord, grant them health and good life and fill their homes with everything good. For this reason, we piously take from the light that diligently and eternally burns on Your light-bearing Sepulchre, we spread it among those who believe in You, who are the true light, and we pray and plead with You, oh Holiest Despota, so that You will elevate [the light] into a gift of sanctification and fill it with Your divine grace, through the grace of Your Most holy and light-bearing Sepulchre. And those who touch it with piety, bless and sanctify them, free them from the darkness of passions and make them worthy of Your brightest dwellings, where the unsetting light of Your divinity shines. Lord, grant them health and good life and fill their homes with everything good. Ναί, Δέσποτα φωτοπάροχε, ἐπάκουσόν μου τοῦ ἁμαρτωλοῦ ἐν τῇ ὥρᾳ ταύτη καὶ δὸς ἡμῖν τέ καὶ αὐτοῖς περιπατεῖν ἐν τῷ φωτί σου καὶ ἐν αὐτῷ μένειν, ἕως τὸ φῶς τῆς προσκαίρου ζωῆς ταύτης ἔχωμεν. Δὸς ἡμῖν Κύριε, ἳνα τὸ φῶς τῶν καλῶν ἔργων ἡμῶν λάμπῃ ἔμπροσθεν τῶν ἀνθρώπων καὶ δοξάζωσι σὲ σὺν τῷ ἀνάρχῳ σου Πατρὶ καὶ τῷ Παναγίῳ Πνεύματι. 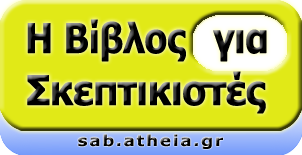 Εἰς φῶς γὰρ ἐθνῶν ἡμᾶς τέθηκας, ἳνα αὐτοῖς τῇ σκοτίᾳ περιπατοῦσι φαίνωμεν. Ἀλλ’ ἡμεῖς ἠγαπήσαμεν τὸ σκότος μᾶλλον ἢ τὸ φῶς, φαῦλα πράσσοντες. Πᾶς γὰρ ὁ φαῦλα πράσσων μισεῖ τὸ φῶς κατὰ τὸν ἀψευδῆ λόγον σου. Διὰ τοῦτο ὁσημέραι προσκόπτομεν ἁμαρτάνοντες, ἐπειδὴ περιπατοῦμεν ἐν τῇ σκοτίᾳ. Ἀλλ’ ἀξίωσον ἡμᾶς τὸ ὑπόλοιπόν τῆς ζωῆς ἡμῶν βιωτεῦσαι πεφωτισμένους τοὺς ὀφθαλμοὺς τῆς διανοίας ἡμῶν. Δὸς ἡμῖν, ἳνα ὡς τέκνα φωτὸς περιπατήσωμεν ἐν τῷ φωτὶ τῶν ἐντολῶν σου. Τὸ τοῦ ἁγίου βαπτίσματος φωτεινὸν ἔνδυμα, ὅπερ διὰ τῶν ἔργων ἠμαυρώσαμεν, λεύκανον, ὡς τὸ φῶς, ὁ ἀναβαλλόμενος τὸ φῶς ὥσπερ ἱμάτιον. Δὸς ἡμῖν ἐνδύσασθαι τὰ ὃπλα τοῦ φωτός, ἳνα δι’ αὐτῶν τὸν ἄρχοντα τοῦ σκότους τροπούμεθα, ὃς μετασχηματίζεται εἰς ἄγγελον φωτός. Anyone who does evil works hates the light according to Your faultless word. For this we stumble every day due to our sinning because we walk in the darkness. But make us worthy to live the rest of our life with enlightened eyes and minds. Grant us to live as sons of light and walk in the light of Your commandments. The bright garment of our baptism which we have blackened by our evil works, whiten it like the light, transforming the light into garment. Grant us to dress ourselves with the weapons of light, that we may overcome the lord of darkness, who transforms himself into an angel of light. Anyone who does evil works hates the light according to Your faultless word. For this we stumble every day due to our sinning because we walk in the darkness. But make us worthy to live the rest of our life with the eyes of our minds enlightened. Grant us to live as sons of light and walk in the light of Your commandments. The bright garment of our baptism which we have blackened by our evil works, whiten it like the light, you who wears the light like a garment. Grant us to dress ourselves with the weapons of light, that we may overcome the lord of darkness, who transforms himself into an angel of light. Ναί, Κύριε, καὶ ὡς ἐν ταύτῃ τῇ ἡμέρᾳ τοῖς ἐν σκότει καὶ σκιὰ θανάτου καθημένοις φῶς ἔλαμψας οὕτω σήμερον λάμψον ἐν ταῖς καρδίαις ἡμῶν τὸ σὸν ἀκήρατον φῶς ἳνα τούτου φωτιζόμενοι καὶ θερμαινόμενοι ἐν τῇ πίστει, δοξάζωμεν Σὲ τὸ μόνον ἐκ μόνου τοῦ ἀρχιφώτου φωτός, ἱλαρὸν φῶς εἰς τοὺς ἀτελευτήτους αἰῶνας. Ἀμήν. Yes, Lord, as You shone the light to those who are in darkness and under the shadow of death, likewise, today, shine in our hearts with Your pure light, so that becoming illumined and warmed up in faith, glorify You the one and only original light, exhilarating light to everlasting ages. Amen. Yes, Lord, as You shone the light to those who are in darkness and under the shadow of death, likewise, today, shine in our hearts with Your pure light, so that becoming illumined and warmed up in faith, glorify You the one and only originally shining light, exhilarating light to everlasting ages. Amen.